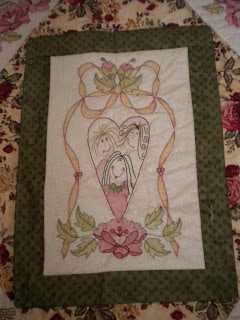 This week I have put the finishing touches on two quilts. I have quilted them myself on my sewing machine. 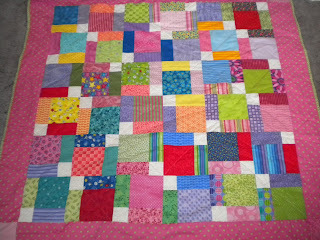 I am getting a lot of practice doing machine quilting and feel confident doing straight (but sometimes wonky) lines. The first is a quilt a did in class a little while back which uses 5 inch squares (charm squares) and I used some of my left over brights. It was really clever how it was made as it looks like a huge amount of work but the blocks were nine patches that were then cut and turned and resewn and you can use the technique for any size block. 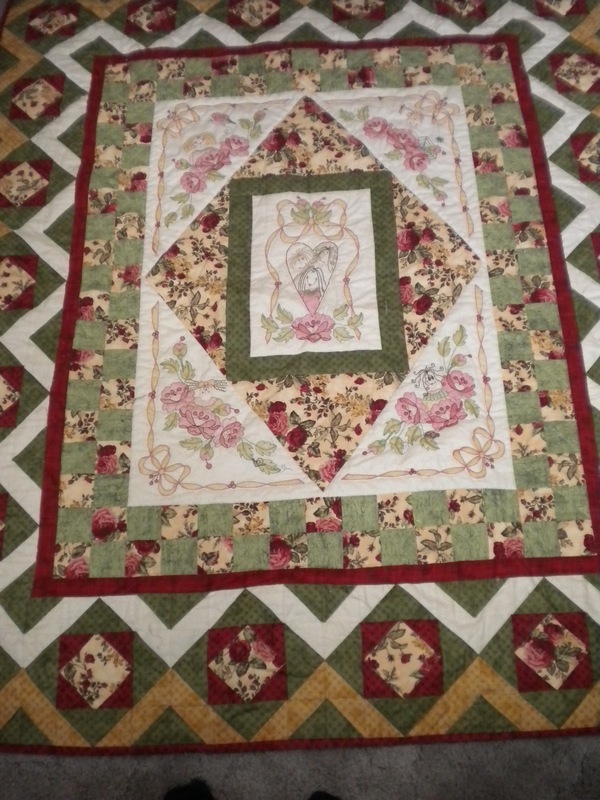 The next finished quilt is from Homespun (some years ago) and was designed by Helen Stubbings and uses her colourque technique. The top had been sitting in the cupboard with the wadding and backing so I finally decided to have a go at quilting it myself. A close up of the centre block. I really enjoy colouring in and eventually will get around to doing some more of Helen's colourque designs. I have her book now just need the time. 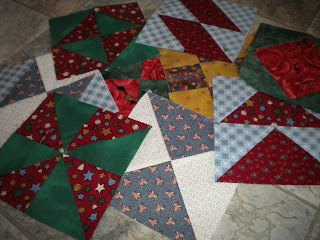 I have joined the Westalee Rulers Mystery Quilt to use up some of my stash. These rulers make quilting easier and quicker and they are an Aussie company. I think there are 113 blocks in total so that should use up some of the stash. I have also found another quilt in a magazine that I am going to make from the stash and I have started cutting out 8.5 inch squares. The rotary cutter is being worked hard.